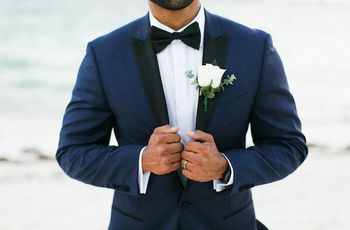 From the rugged outdoorsy groomsmen, all the way to the polished and groomed, these groomsmen gift ideas are perfect for everyone. 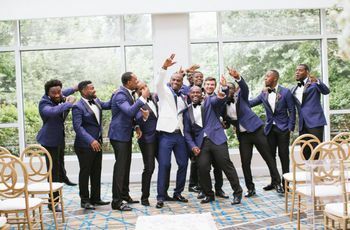 These groomsmen gift ideas totally take the cake when it comes to finding the best present for your bros. 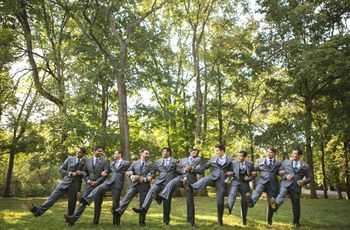 Your groomsmen are one of the most important parts of your wedding party. 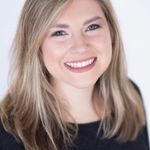 They'll be there for the pep talks, chest bumps and all the other wedding party duties. 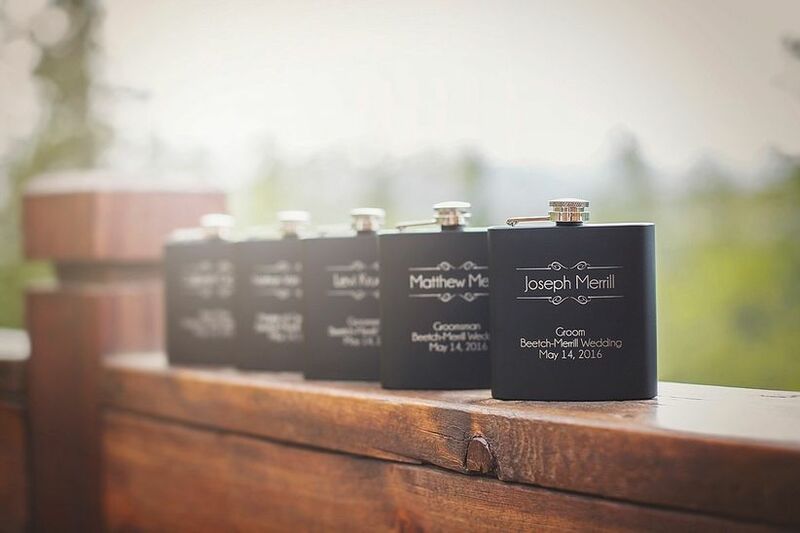 So, what better way to say "thanks" than by giving your groomsmen a gift they'll actually want! 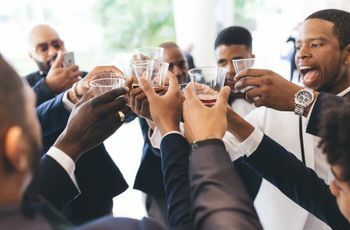 Whether you’re an outdoorsy group and want to give them something they can use on the next camping trip or prefer to gift them a techy item, we’ve rounded up the most steal-worthy groomsmen gift ideas. Here are some of our favorite groomsmen gift ideas that your crew will love, too. With a vacuum insulation to keep beverages hot or cold, this groomsmen gift idea can be used throughout your bachelor trip and also while you’re getting ready for the big day. So, if you’re looking for a usable gift idea, then we think a tumbler would be a great choice. Fitness buffs or outdoorsy guys will never take off this groomsmen gift. Fitbits have been one of the most popular groomsmen gift ideas this year and we can see why. 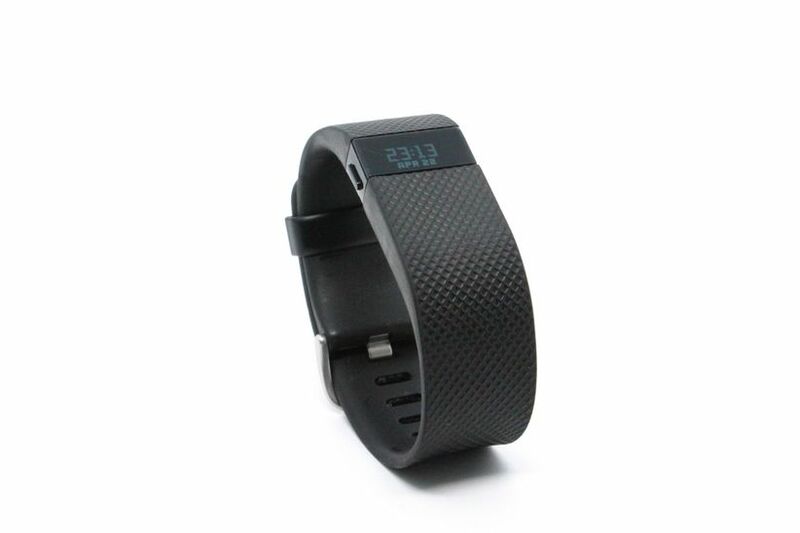 They easily keep your fitness goals in line by tracking each and every step you take. With a leather stitching and hefty brass zipper, these travel bags are perfect for toiletries and more. Your groomsmen can even use them during your wedding weekend, too. Seafood lovers will love this oyster-inspired groomsmen gift option. Not only does the set include a stainless steel shucker, it also comes with a pair of cut-resistant gloves. Just add a bottle of hot sauce to really upgrade your groomsmen gift idea. Yum! Pop open a cold one with the help of this versatile cooler. This groomsmen gift idea is a great choice if you’re traveling to a beach or mountain destination for your bachelor trip, since your guys can stock them with brews and more. Guys who love a clean shave will definitely appreciate this groomsmen gift idea. 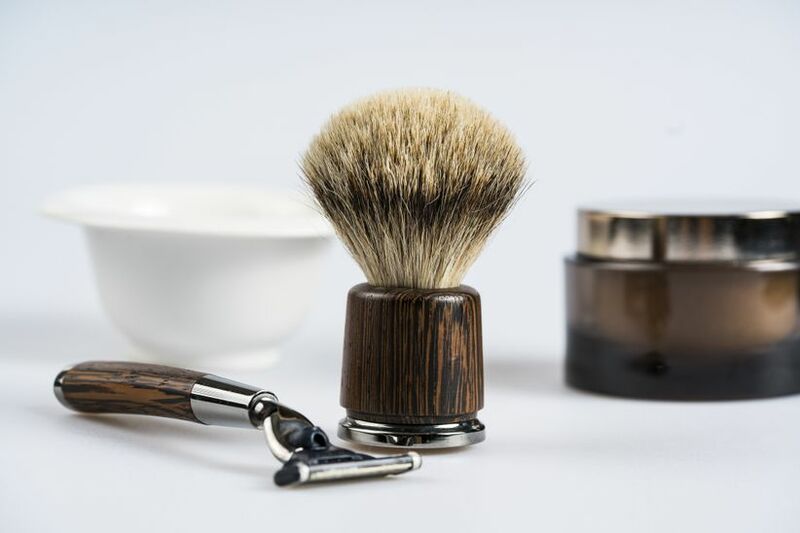 The kit includes all the necessities for the perfect shave, such as, pre-shave oil, shaving brush and more! If your groomsmen are more grill masters than shaving artists, definitely opt for this BBQ sauce groomsmen gift idea. It includes three sauces ranging from the iconic American bbq all the way to the tangy Carolina style flavor. These engraved heavy-based glasses are made for whiskey drinkers. 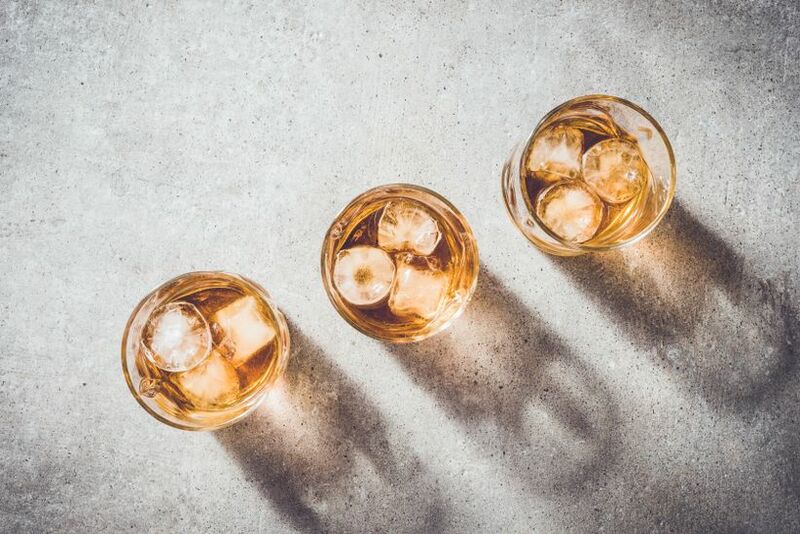 They also come with with whiskey stones, which can be used in lieu of ice while your drinking your favorite spirit. Cheers! If you are looking for a more classic gift option, we definitely suggest giving your groomsmen this monogrammed wallet. With smooth leather and a built-in stainless-steel multi-function tool, your bros will love keeping their cash and credit cards safe with this groomsmen gift. Calling all beer lovers, this stainless steel jug not only keeps beer cold and fresh inside, but also comes with a leak proof lid. If you are planning to take your boys golfing on your bachelor trip then this gift option is just for you. Each set comes with three golf balls that you can easily customize and monogram. This velvet-lined dresser box is another great gift option. Your groomsmen can easily keep their cuff links and other wedding day essentials stored and organized with it too!